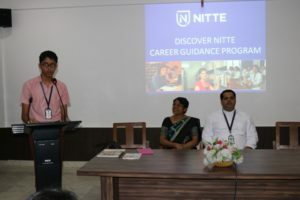 A career guidance session was organised for the students of class 11 & 12 on 7th of July, 2018 in the school Audio – Visual room. 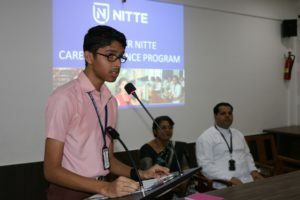 The session began at 10.30 am .Rahul Balike, student of class X11 B welcomed the chief guest ,Mrs Kushalatha&Principal Rev Fr. Robert D’souza. 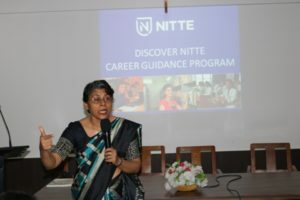 Mrs. Kushalatha is a counsellor at NITTE for the past 20 years. 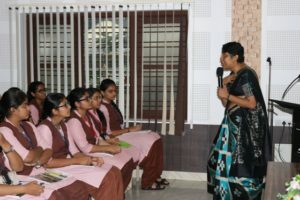 She has been counselling students from across the country & various other nations. 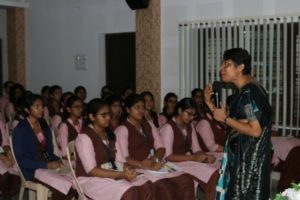 She began the session by briefing the students about the importance of choosing a right career upon their aptitude,attiude ,individual interest& passion. 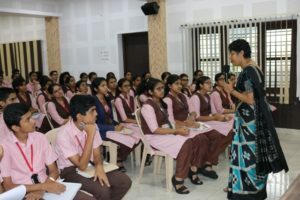 She later on spoke to the students about the various employment opportunities &sectors available in India. The students gained knowledge about the criteria required in choosing the right institute. The session was concluded by showing an inspirational video. Hayden Pinto of class XIIA concluded the programme with the vote of thanks .